Derbyshire Record Office's catalogue of Church of England Registers says Bugsworth was a hamlet originally in the chapelry, later the parish of Hayfield. 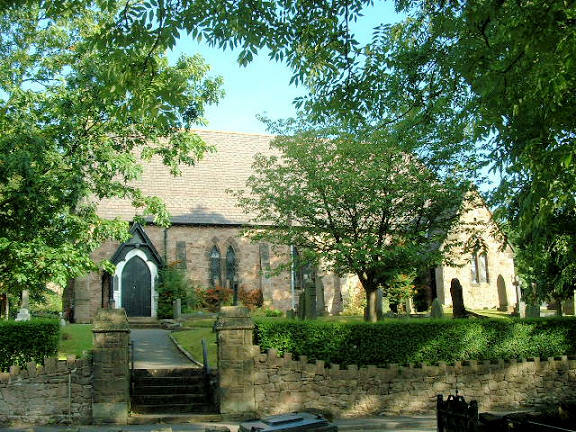 Its chapel of ease (St James) was opened in 1874, and it became part of new parish of Chinley with Buxworth in 1915. The churchyard (called "Burial Ground" in old Directories) was opened for burials in 1879, and extended to the side in 1916. St James's Church, Bugsworth (Buxworth) shown on a Google Map. Information last updated on 19 Nov 2010 at 19:32. This Report was created 18 Apr 2019 - 23:18:49 BST from information held in the Derbyshire section of the Places of Worship Database. This was last updated on 6 Feb 2019 at 15:49.